When registering your team, you may pay in full or $200 deposit. Teams: All US Club Soccer affiliated Boys and Girls youth teams in the U12 – U15 age groups. Age Groups: All teams will be placed in the U12 – U15 age groups. Teams will then be ranked and split into Gold & Silver Divisions (provided 8 or more teams are entered in a Division). The ages for each player will be determined by his or her birth year, as mandated by the new USSF guidelines. Location: All games are to be played at Waipio Soccer Complex. If necessary, the League may schedule some weekday make-up games at Ala Wai field. Dates: All Saturdays, beginning December 1st through end of February. Times: Games will be primarily scheduled at the following times: 8am, 10am, 12pm, 2pm and 4pm, but may vary. Number of Games: Seven (7) appropriate full-time 11-a-side games. Referees: Three certified officials (one center, two assistant referees) per game. Rules: All games shall be played under the current “Laws of the Game” published by FIFA, subject to specific League Rules created by the Rules and Regulation Committee. As per the new USSF guidelines. Rosters: US Club Soccer rules apply.Unlimited roster (only 18 can participate in a game) in the appropriate age group, with the appropriate club. No guest players (Non affiliated with the CLUB playing) allowed. Each Team must consist of a minimum of 50% of players pertaining to the age group of the Division they’re playing in at game time. Fees: $800 (fees include Park Users Fees). Fees may be adjusted if certain Divisions’ schedules call for more or less games to be played. Administration: The League will be administrated by the MISO league. 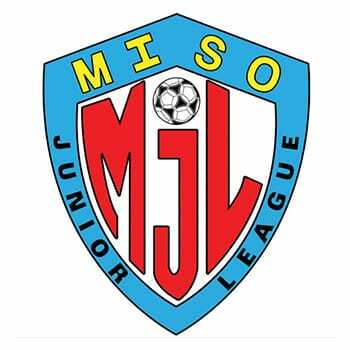 The Commissioner of the MISO Junior League (MJL) will be the present MISO President, Sergio Bolioli. He can be reached at the following number: 722-8889 (c) or via e-mail at misojuniors@hotmail.com. Applicants should familiarize themselves with the League Rules prior to applying, as there’re a few differences in comparison to other Leagues. Admission is limited. Returning Clubs/Teams will have priority provided they meet the deadline. All others will be based on a first come first serve basis and/or the teams’ rank. Interested teams should apply ASAP. Please make all checks payable to MISO. Mail to: 92-1002 Makakilo Dr. #44, Kapolei, HI, 96707.